On August 17th from 6 to 10 p.m. 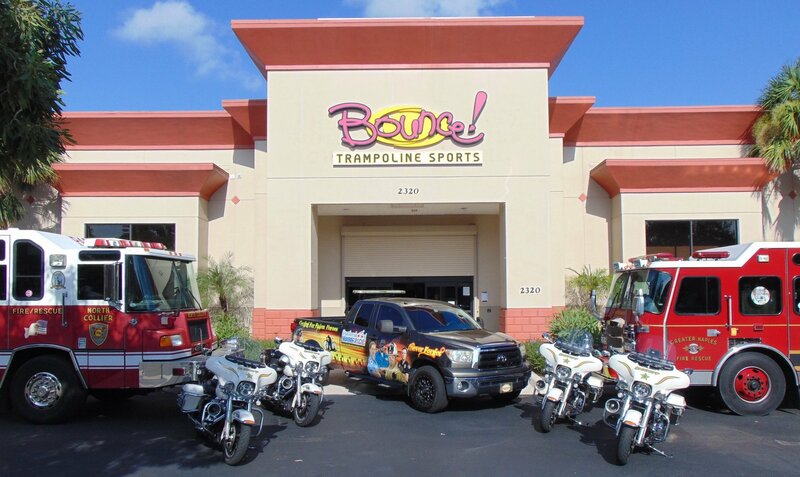 Bounce will be completely taken over by first responders!! Pre-purchase Bounce tickets via the ticket link below and spread the word. Please keep in mind that the bounce time purchased must be redeemed on August 17th between the hours of 6 and 10 p.m.
Not looking to Bounce? Don’t worry, there is something for everyone!! – Raffle Baskets that include items from popular local businesses, restaurants and shops. – Bake sale featuring baked goods from some of the best local bakeries! – Food trucks! Food trucks! Food trucks!